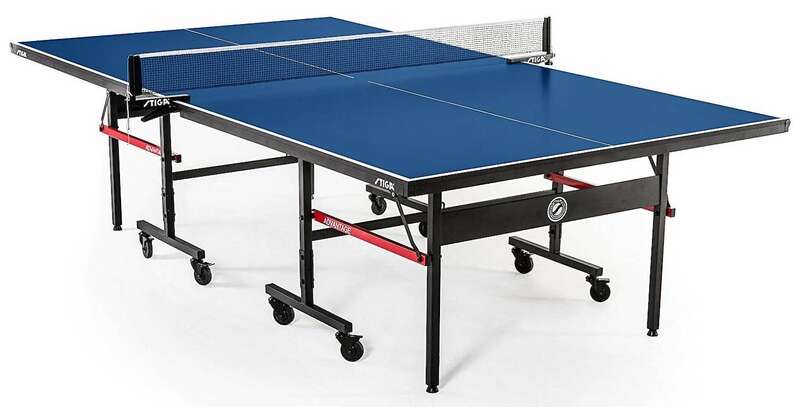 DEAL: Save $50 on STIGA Competition-Ready Table Tennis Table on Amazon! Create a rivalry amongst your family and friends with the STIGA Advantage indoor table tennis table! This competition-ready table is regulation size (108” L x 60” W x 30” H) and features a 10-minute QuickPlay design arriving 95% preassembled out of the box for a quick and easy setup. Its independent chassis design offers two completely separate table halves allowing you the flexibility to use the table for any of your entertainment needs when you’re not playing on it, or simply store it out of sight with its incredibly compact nested storage position.